Price is $29$29 USD and due to current promotion it is $23.20 USD now. 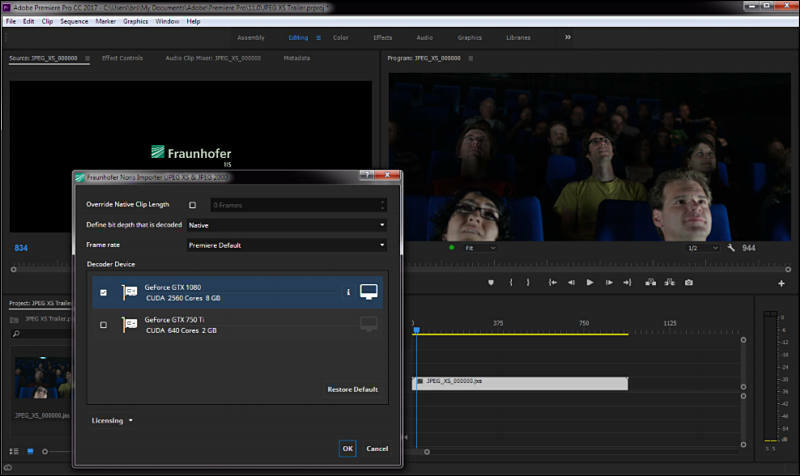 Allow to use lot of FFMpeg encoders (x264, x265, prores, ...) directly in Adobe Premiere. This includes NVENC and VCE hardware encoders. Very good idea for older computer or even top Ryzen setups. Turing GPUs will come with an improved NVENC video encoder that adds support for H.265 (HEVC) 8K encode at 30 FPS, while also providing up to 25% in bitrate savings for HEVC and 15% in bitrate savings for H.264 relative to the previous encoder. 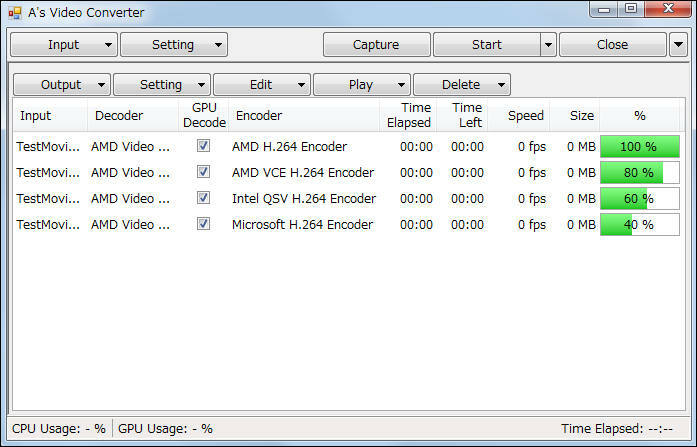 Lower encode quality compared to pure CPU encoding has been an issue forcing many users to avoid using GPU encoding hardware for this very task. NVIDIA is now making the claim that their improved encoding engine offers better quality than software encoders, such as x264. That said, note that they used x264 at the "fast" setting for this comparison, which is not optimal for the highest quality by itself, though it remains fast enough for real-time encoding at 1080p. When it comes to 4K, even x264 in fast mode will result in dropped frames while NVENC will keep the CPU load low without missing any frames. 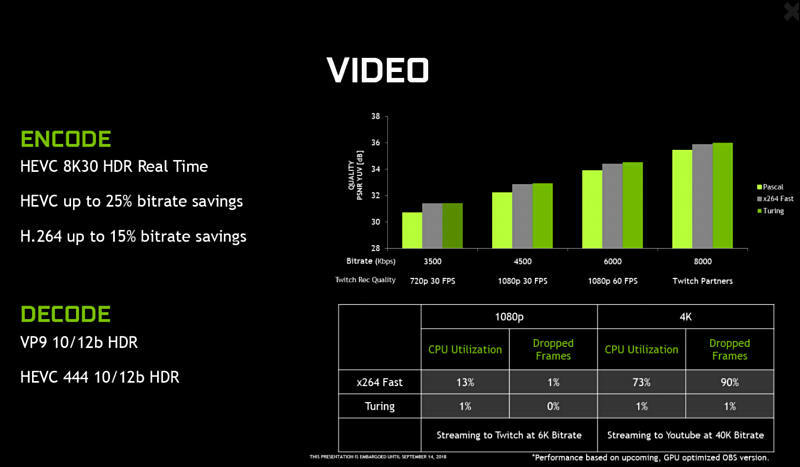 So Turing should be a great choice for 4K streaming, while maximum quality offline encoding is still done best on the CPU, which is much slower, of course. 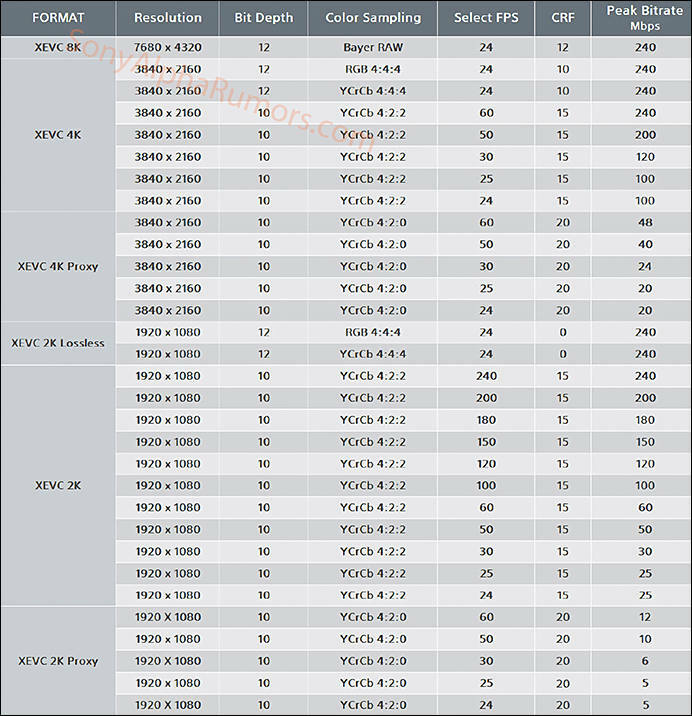 Turing's NVDEC video decoder engine has also been updated to support decoding of HEVC YUV444 at 10 and 12 bit HDR at 30 FPS, H.264 8K, and VP9 10/12b HDR. Pretty basic question. If I'm recording 10-bit video with my GH5s, I can do it as an MP4 or as a Quicktime. But is there an advantage or disadvantage to using either of these? How does HLG impact on this? 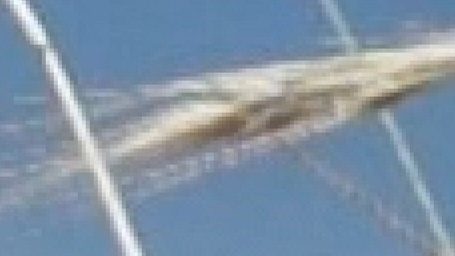 Or is All-I video of better quality? I couldn't find anything dedicated (and I may have missed something important) so: This is a topic dedicated solely for any kind of progress updates on software, code and methods to downscale 4k with best possible results to help people establish a workflow for converting 4k footage. Meanwhile, it may be a good idea to also map the best downscaling methods that already exist. set /p choice="Enter path to merge to: (eg. C:\video\test.MTS)"
Just copy this code into a .txt and rename into .bat. Then you can just drag and drop the files, by selecting them and drag the first one on the .bat. You will then be prompted to input a destination path and name. You can merge a total of nine files into one this way. Video Artifact is a new standalone video editor for digital film restoration and footage quality enhancement. It has free and paid editions. Program helps you to prepare footages from consumer or professional video cameras, digicams and V-DSLR. It can remove MJPEG, MPEG, H.264, H.265 compression artifacts and digital noise, improves sharpness and color resolution up to 16 bit 4:4:4. Script-based to work with unique cases. You can use many filters in any combination. 50+ specialized restoration filters work in Y, U, V separately in 8/16 bit. Possibility to use dozens of different type denoisers for different noise type. Accurate denoising that keeps micro details with no "plastic" effect. Linear color high quality spline-based resize to resize up to 4K. Resize halos can be removed. Film grain emulation and 3D LUT grading. 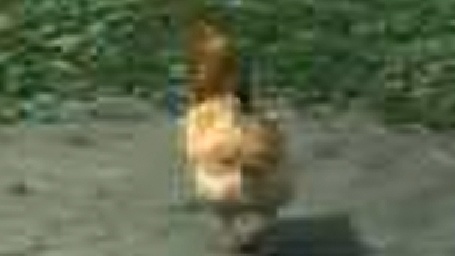 4:2:0 8 bit to 4:2:2/4:4:4 16 bit chroma reconstruction. It can be used in a post-production workflow if you use V-DSLR or consumer cameras. Currently 50+ camera models supported and hundreds of compatible models. Batch processing without GPU. Very fast: 5 fps for typical V-DSLR AVCHD source and 2 fps for 4K. Automatic joining of MTS, MOV and MP4 spans and renaming to yyyymmdd_hhmmss.mov format. Non-standard 16-255 to TV 16-235 levels conversion. ITU-R BT.601 ↔ BT.709 floating point conversion. NLE and DaVinci Resolve compatible workflow. Mastering to webm VP9/Opus or mp4 H.264/AAC 1080p/720p/360p/240p. Is there any way to use real time image adjustments with alpha mask channel in video player? I have uneven back light in my TV and it would be nice to have a masked correction for display faults. Corner color and contrast are also fading when watching very close. A mask correction would help for that too.